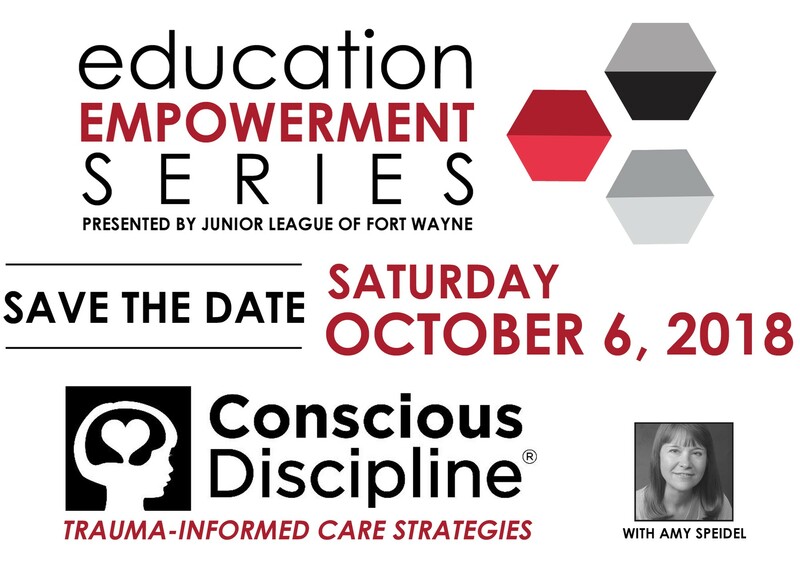 The Junior League of Fort Wayne is proud to present the second annual Education Empowerment Series event! We welcome you to enjoy the conversation of Trauma-Informed Care by attending this one-day training with Amy Speidel of Conscious Discipline. You’ll discover how Conscious Discipline empowers parents, teachers, and those who work with children and families to transform children’s behaviors. Conscious Discipline is a program that is evidence-based and trauma-informed. Understand the dynamics of trauma and learn strategies on how to reach and teach children who have experienced trauma. Tickets are on sale now! $45 per person, and includes a full day of training, a light breakfast, and lunch.